Delivers 33 Highway MPG and 26 City MPG! 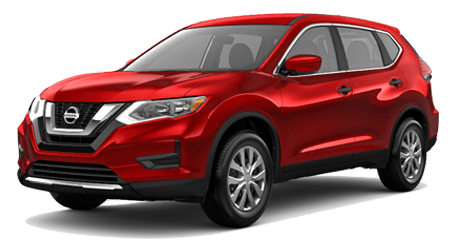 This Nissan Rogue boasts a Regular Unleaded I-4 2.5 L/152 engine powering this Variable transmission. GUN METALLIC, CHARCOAL, CLOTH SEAT TRIM, [U35] NAVIGATION MANUAL. [U01] PREMIUM PACKAGE -inc: Heated Leather-Wrapped Steering Wheel, Intelligent Cruise Control (ICC), full speed range and hold, Steering Assist, Electronic Parking Brake Replaces foot release parking brake, Intelligent Aroundview Monitor (I-AVM), Moving Object Detection (MOD), Wheels: 18" Aluminum Alloy, Radio: AM/FM/CD/AUX NissanConnect w/Navigation, Nissan door to door navigation w/3D building graphics and satellite imagery featuring POI search, and online premium traffic information, HD radio, SiriusXM Traffic, SiriusXM Travel Link (weather, fuel prices, movie listings, stock info, sports and parking), 7" color display w/multi-touch control, Apple CarPlay, Android Auto, SiriusXM Satellite Radio w/advanced audio features, USB connection port for iPod and other compatible devices, Bluetooth hands-free phone system, streaming audio via Bluetooth, hands-free text messaging assistant, over-the-air (OTA) updating for headunit firmware and navigation map software via a Wi-Fi WPA2 connecti , [L92] FLOOR MATS & 2-PC CARGO AREA PROTECTOR -inc: 2-pc front and 2-pc 2nd row floor mats, First Aid Kit, [B93] CHROME REAR BUMPER PROTECTOR, [B92] BLACK SPLASH GUARDS (SET OF 4), Wheels: 17" Aluminum Alloy, Wheels w/Silver Accents, Variable Intermittent Wipers, Trunk/Hatch Auto-Latch, Trip Computer, Transmission: Xtronic CVT Automatic -inc: sport mode switch,. 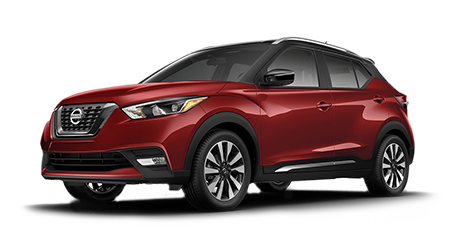 A short visit to Valdosta Nissan located at 3715 Inner Perimeter Rd, Valdosta, GA 31602 can get you a reliable Rogue today!